What may be better than a trip to New York? Travel to NY during Christmas time! 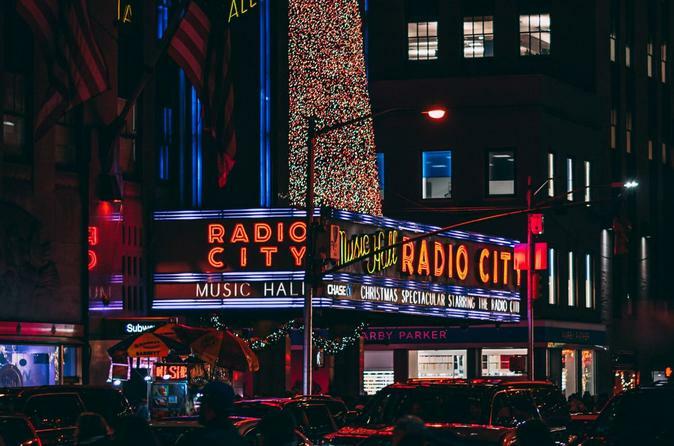 Now that’s the most wonderful time of the year, you'll find spectacular holiday lights across New York!This exciting Christmas tour of New York City takes guests on a whirlwind adventure through the Big Apple! What may be better than a trip to New York? Travel to NY during Christmas time! Now that’s the most wonderful time of the year, you'll find spectacular holiday lights across New York! Join us to take an easy, affordable, and convenient day trip. All you need is a free Saturday, some friends, and a sense of adventure! And there are plenty of activities for both the budget-savvy and the high-roller (and everyone in between) on our one-day bus trip to NYC from Maryland. Everyone has to experience Manhattan's iconic tree lighting at least once in their life. Make this year your year. This exciting Christmas tour of New York City takes guests on a whirlwind adventure through the Big Apple! Passengers will be picked up and dropped off at their chosen locations. (Please make note of locations and times of pick up).